The UK Gambling Commission issued its annual report last month and we just recently took the time to read through it. Overall, the Commission seems to be in a good place with a positive outlook for the UK’s gambling industry. The Commission seems to be functioning well and meeting its objectives. I can rather confidently say that the UK Gambling Commission continues to set the example for gaming regulators around the world. A good chunk of the report dealt with internal issues such as diversity, balance sheets and employee health, but there were also some interesting findings related to the industry as a whole. 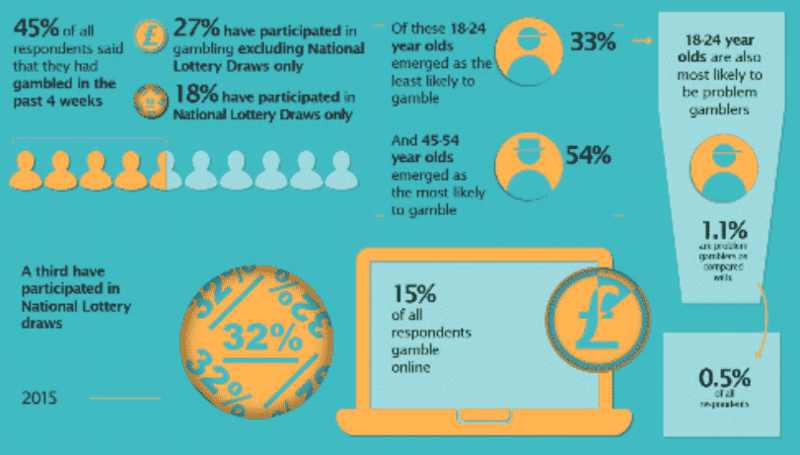 In putting together the annual report, the Gambling Commission conducted a survey that yielded some interesting gambling prevalence statistics. For example, they found that nearly half of respondents have gambled in some form or another within the last month. 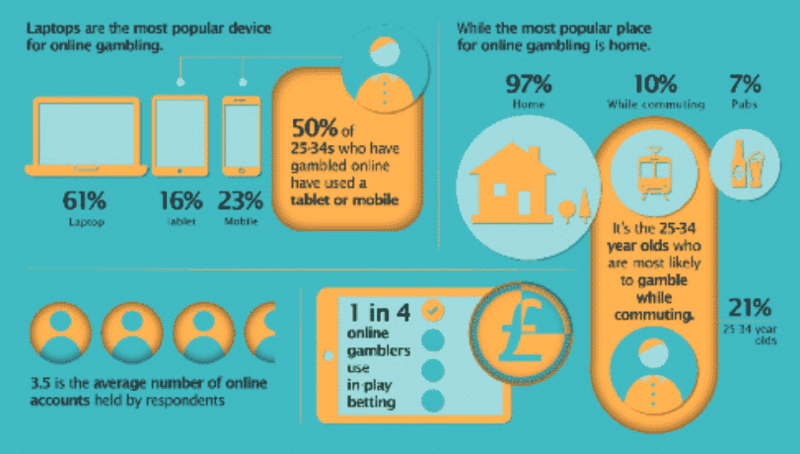 Extrapolating these results out to the general population shows just how big an industry online betting has become in the UK. The Gambling Commission is well aware of the developments taking place in non-traditional areas of gambling. eSports betting hit new records in 2015/2016 and looks to be on a straight upward trajectory in total betting handle. Most of the major online bookmakers are now taking bets on the outcomes of professional matches in games like League of Legends, Dota 2 and Counter-Strike: GO. So far, the Commission has effectively lumped in eSports betting with other forms of sports betting in terms of regulation. However, the annual report noted that the Commission needs to take a closer look at eSports and will need to bring unlicensed eSports betting sites under the regulatory umbrella. This will be a good thing ultimately as it will give the Commission more oversight and the ability to look for match fixing and other potential issues that are also associated with traditional sports betting. And finally, the paper indirectly mentioned the need to investigate the rise of “skins betting.” For those who aren’t familiar with the phrase, skins betting gained prominence recently after a Bloomberg article exposed a large and unregulated industry that has cropped up around the use of in-game items to place bets. These items (called “skins” in Counter-Strike) are dropped, traded and sold within the game, but can also be sold for real money amongst players on third-party websites. Thus, betting with skins is effectively the same thing as betting with real money online. This entire industry has gone completely unregulated and it has definitely caught the Commission’s attention. We have to hand it to the UK Gambling Commission. They are by far the most up-to-date and plugged-in gambling regulator in the world despite being one of the largest and most comprehensive regulators. The skins betting scandal barely hit the mainstream consciousness a few months ago and already they have mentioned “in-game” items being used to effectively place wagers online. A further area for continuing future focus will be on emerging products and digital currencies. The growing market in esports and computer gaming has scope to present issues for regulation and player protection – issues which are being examined by gambling regulators in other international markets. These issues range from the emergence of real money esports betting markets, to trading in-game items which blur the lines between gambling and social gaming. Our focus will be to understand developments, including engaging with key stakeholders, and we will work wherever we can to ensure the risks associated with these, particularly to children and young people, are minimised. The UK Gambling Commission announced in February that it is seeking the development of a platform that will allow gamblers and punters to enter voluntary self-exclusion programs with multiple betting sites. This effort, if successful, will be highly beneficial to problem gamblers as it will allow them to enter self-exclusion agreements with every licensed betting site all at once as opposed to self-exlcuding from one site at a time. In other words, a player could fill out a single form to ban themselves from participation at every licensed operator. The Commission notes in the annual report that it will not manage an industry-wide self-exclusion plan. Instead, they plan to assist with an industry-led program. The Commission feels that individual operators already have the infrastructure and IT systems in place and would be better suited to work together to form an industry-wide solution. The Commission hopes to see this system in place by the end of 2017. The National Lottery had a big year for ticket sales, revenue raised for good causes and payouts to players. Owing partially to the increase of the number of balls from 49 to 59 and additional prizes, the National Lottery generated increased interest and ticket sales. In total, £1.93 billion was raised for good causes and £4.2 billion in prizes were paid out last year.